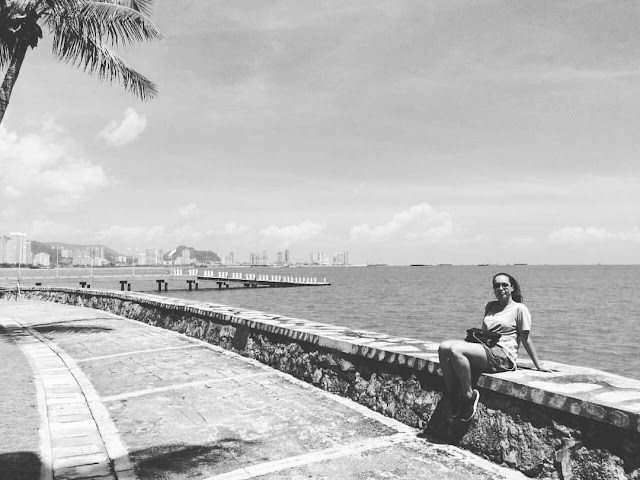 Hey Lovelies last weekend I visited Penang for the first time and it was the one place that I had heard mixed reviews from friends that had previously visited, either way it still remained on my list of places to see in Malaysia and I'm happy I kept it. Penang is a state located in the northwest coast of Malaysia and Georgetown is the capital. Due to the history and rich culture of Penang it is now a UNESCO World Heritage City. One of the things Penang is most famous for is their foooooood! Penang Road Famous is where you will find the very popular (as you can see from the queue above) Chendul/Cendol which is a shaved ice dessert with soft fresh pandan -flavored palm flour noodles immersed in light coconut milk. 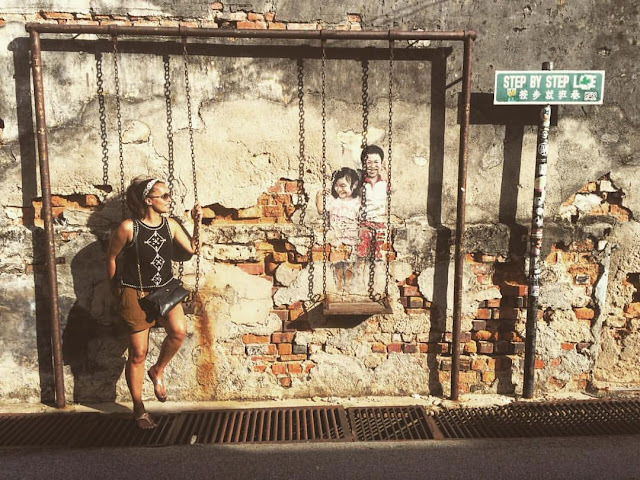 The second thing that Penang is known for is their amazing street art which is located on and around Armenian street, Georgetown. Hands down this had to be my fave part of the trip....apart from the Penang assam laksa of course.....yummmzzz. I wont metion where the street art is located because that would take the fun out of discovering them for yourself if you are planning on stopping over. There are various methods of transport to exploring the narrow and winding streets in search of street art. You can do it on foot, rickshaw, bicycle, four wheel bicycle that fits four people (great for groups) and they even have the lazy version in electronic form......which was our choice of course. Have you any you plans to visit Penang or have you visited before? If you have please share your thoughts and if you have any other places to recommend that have not been mentioned above would love to hear from you.